Template kits is an interesting foray into the plugin space by the behemoth WordPress themes seller, Envato. 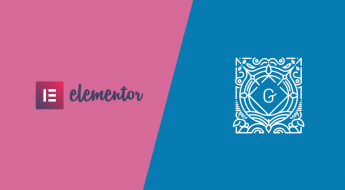 It’s a free plugin, available in the official directory, which allows you to import ready-designed pages and blocks using the Elementor or Beaver Builder page editors. A Gutenberg category may potentially be also on the cards in the future, but it’ll first likely need some sort of layout options incorporated within it before you can design pages similar in scope to that of the other two builders. 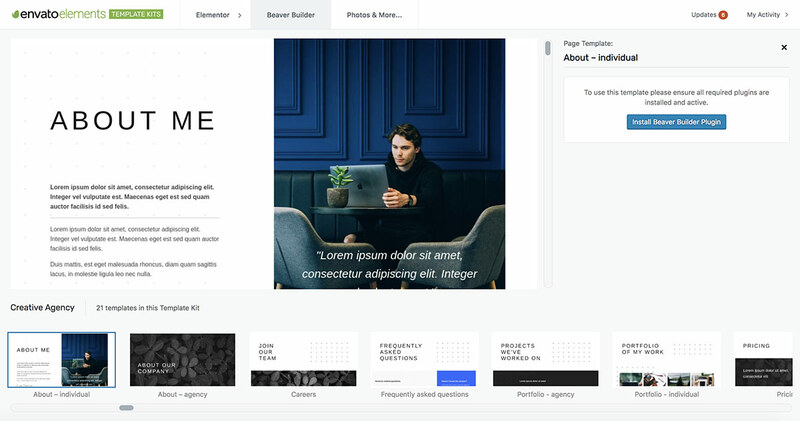 Template Kits is conceived as a quick approach to quickly put together a ready-built layout, professionally designed so that you don’t need to get bogged down with layout decisions, font choices or even picking the right images. Just import, tweak and save. The plugin is designed to work with any theme – like Elementor or Beaver Builder itself, each layout imported is a self-contained piece of design. Which to choose, Elementor or Beaver Builder? This is a decision you may have already made when building your site but if not, both offer benefits. Template Kits does offer a far greater number of kits for Elementor, 50 at the time of writing compared to 3 for Beaver Builder. Since each kit contains on average, 20 page templates there’s a phenomenal 500+ page layouts to choose from. A huge amount of work has gone into this. The free version of Elementor itself also offers a few more standard layout elements compared to Beaver Builder such as toggles, accordions, progress bars, and image carousels. So, if these kind of features are essential to your designs, plump for Elementor. Beaver Builder only includes them in their paid, Pro version. This is reflected in a wider range of Elementor designs within Template Kits using these elements. But, if your primary focus is a flexible grid layout containing mainly images and text, Beaver Builder is an excellent, solid choice. Installation is nice and easy. 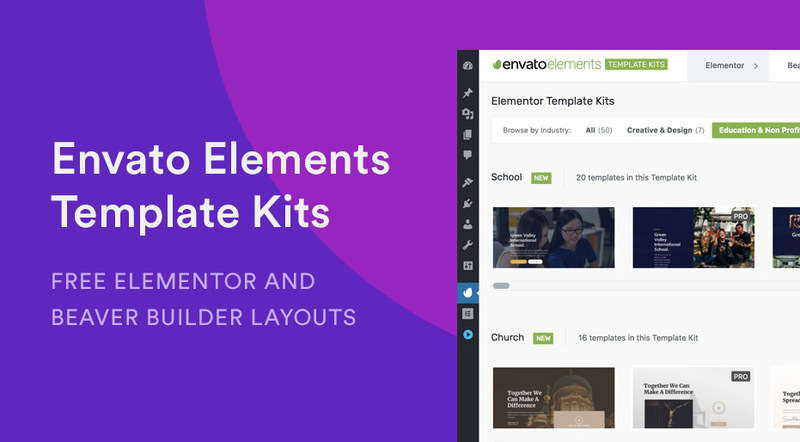 Simply look for Envato Elements – Template Kits within the ‘Plugins’ section of your WordPress site and install. 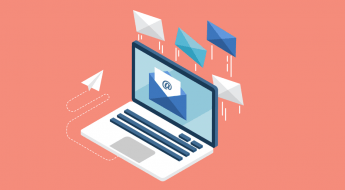 You’ll be prompted to enter an email address and tick a checkbox before proceeding. Let’s take a look at what you get. The plugin defaults to Elementor which makes sense since this one has the greatest number of kits and templates. You can also Browse by Category at the top to narrow things down further. Hovering over a screenshot reveals a neats scrolling animation which allows you to quickly get a feel for the entire page design. A nice touch. Some of the templates are labeled Pro – this refers to the paid version – Elementor Pro which you’d need to have installed first, as it contains features unavailable within the free version of Elementor. Something which could be worked on in a future update is the horizontally scrolling design pattern to browse through a kit’s templates. I can understand why the team went with it but it’s a bit unwieldy when scrolling through up to twenty screenshots – then going back and forth, trying to decide which one to import. A minor quibble. Selecting a template gives you two options. You can add it to the My Templates area of Elementor, allowing you to add it anywhere. Or, you can create a new page with the template content pre-filled immediately. I really liked this feature. If you don’t have the appropriate page builder installed – e.g. Beaver Builder – you’ll be prompted to do so before you can import the template. 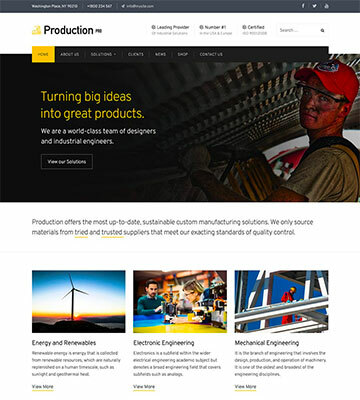 Looking at the blocks section, there are a large number of nicely designed page features if you’re looking to add something different to an existing page. You may need to tweak the typography to match it with your site but the layouts, on the whole, look great and are a colossal timesaver. Even one of the ‘Hero’ blocks would be a great way to refresh an existing tired-looking homepage (so long as it was already built with Elementor). You’ll find many really well-created layouts within this Blocks area. I really enjoyed using Template Kits. Browsing through the different category kits and seeing the level of design quality I can see this becoming a popular solution. 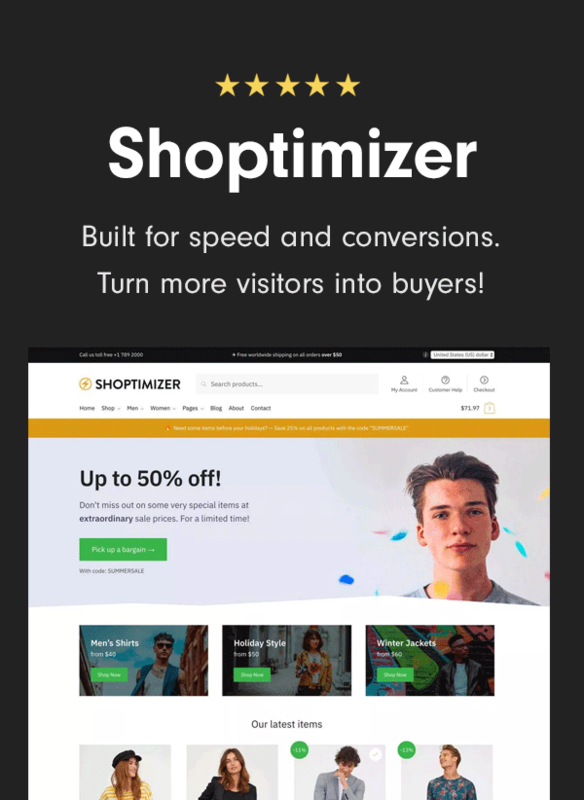 Crucially, it solves a problem; that small business owners either don’t have the time or the design chops to add smart looking new pages to their site. The blocks feature is perfect for refreshing an existing page or adding a new element, such as a ‘Team’ grid when the need arises. From speaking to Aaron, Product Manager at Envato at WordCamp Europe in Belgrade I know the plugin is in great hands. 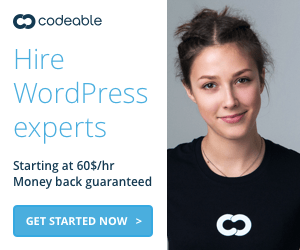 I spotted dtbaker answering support questions on it within the .org forums also and he’s well-known as a super smart dev in the WordPress community. With that sort of team behind it, coupled with the resources of Envato, I’d expect to see this plugin go from strength to strength. So give it a go today, it’s free and available in the WordPress plugins directory. If you have any questions, I’ll be happy to answer them in the comments below. 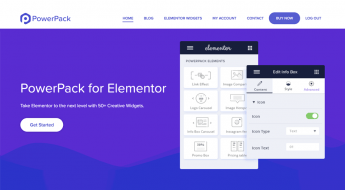 I am finding issues with envato’s Elements as it pertains to Elementor Pro. The desktop works fine but when I use the responsive button of Elementor in the editor, I am having issues. The actual results are different then than the way they are presented on the screen. The results appear lacking responsiveness. 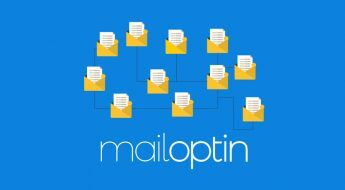 Are you folks aware of this issue?